We want you to find the best used motorcycle for your money and never wind up with a lemon. That's why we created this two part video guide. This video guide teach you all 40 necessary inspection points on the bike and show you how to perform the 20 crucial test ride procedures that can identify potential underlying problems. We also include our top five deal breakers to help you understand when its imperative to walk away. Created by mechanics and powertrain engineers, these videos cover everything. From inspecting the quality of the suspension to learning how to check the amount of life left in the brakes - we've got you covered. The Used Motorcycle Test Ride Checks Video - 30 minute HD video that details and shows how to inspect each necessary point on the bike to ensure it's health and longevity. 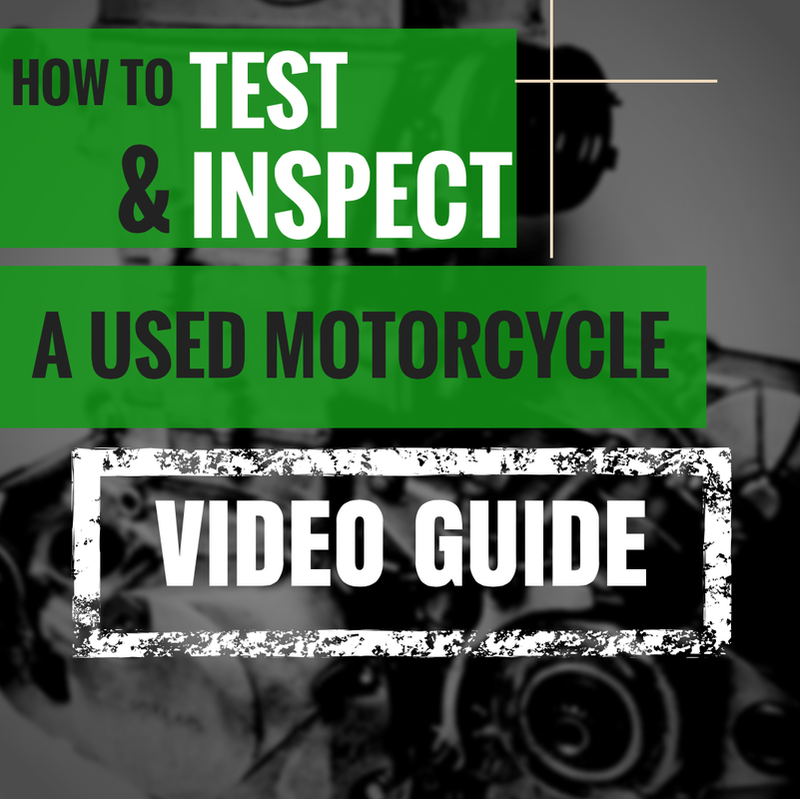 The Used Motorcycle Inspection Ride Checks Video - 20 minute HD video that teaches you how to properly execute all critical test ride checks. "One of my mates who just got into motorcycling recommend your videos to me. I've been riding for quite awhile now and really enjoyed learning about the test ride procedures you use. I hadn't thought to test the clutch the way you do! Thanks for a great guide and sharing your knowledge on buying used bikes." "As a beginner female rider I was so excited to check out a Yamaha Star 250 I had my eye on. Then after going through what could have been a really bad buy, I found these videos invaluable, specifically the section on the proper questions to ask the seller. Having all the information in one place rocks. You could spend hours on the internet trying to round up this type of professional-grade advice, with this video guide it's all organized in one place- it's awesome!" "Typically I'm pretty frugal and do a lot of my research via forums and consumer reviews, but I must say I'm glad I downloaded this video bundle. I saved so much time because all the information was neatly organized in one place. It was definitely worth it and I'll be recommending it to my friends looking for used bikes." 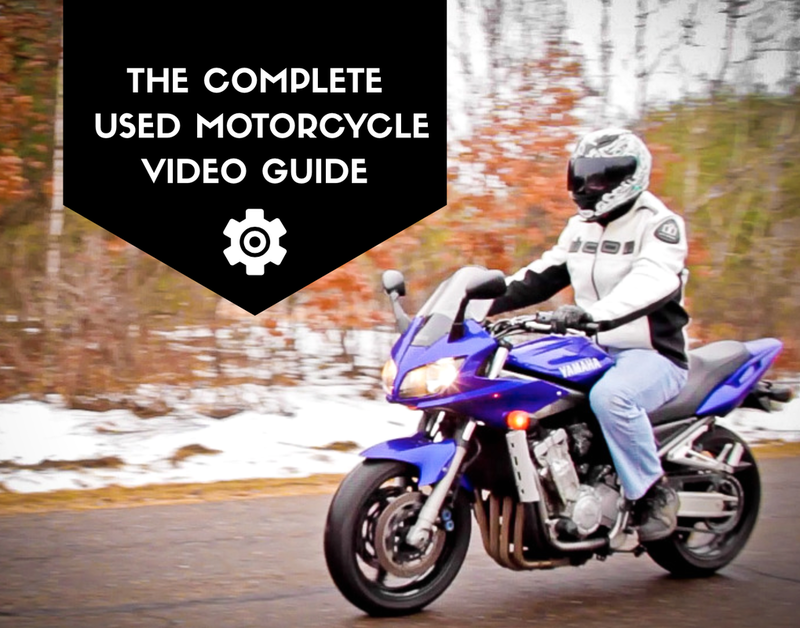 DOWNLOAD OUR VIDEO GUIDE AND START SHOPPING FOR USED MOTORCYCLES LIKE A PROFESSIONAL.